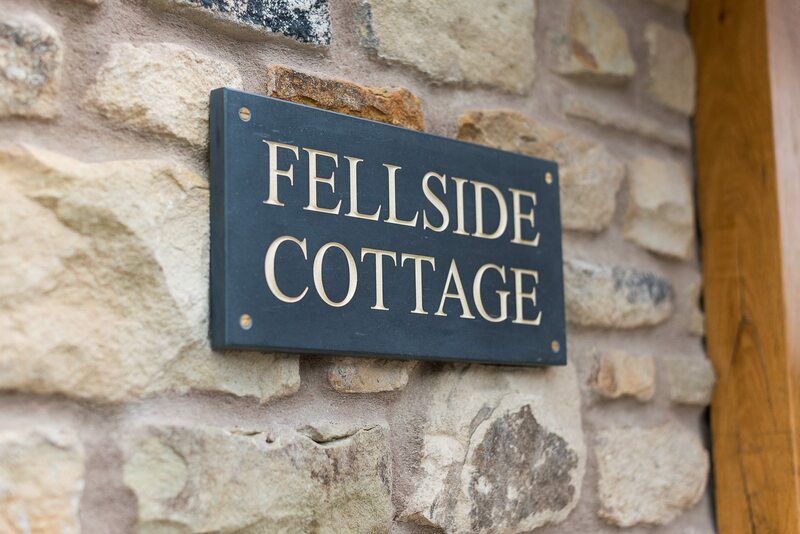 Our smaller cottage, Fellside, sleeps 6/7 guests. 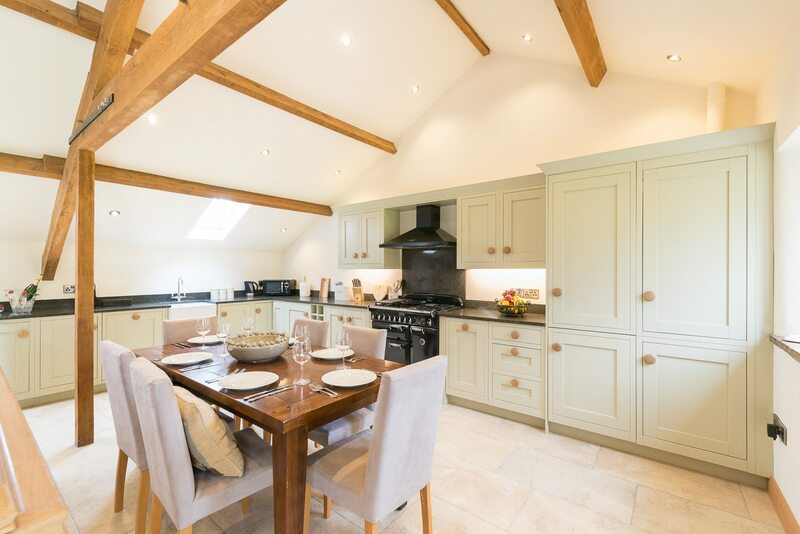 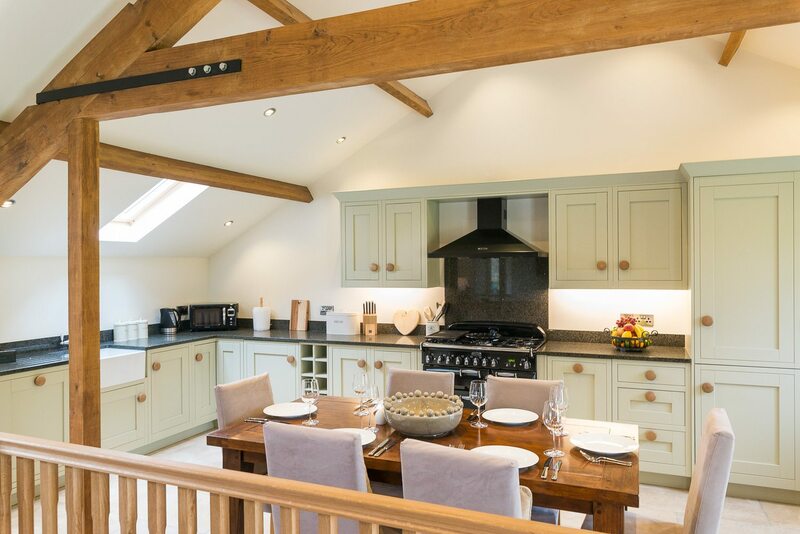 Fellside Cottage features a spacious, fully fitted country kitchen with a large oak dining table to seat six, incorporating a dishwasher, microwave, 5-hob Rangemaster range cooker, two electric ovens, larder and fridge-freezer, Nespresso coffee machine and iPod/iPhone docking station. 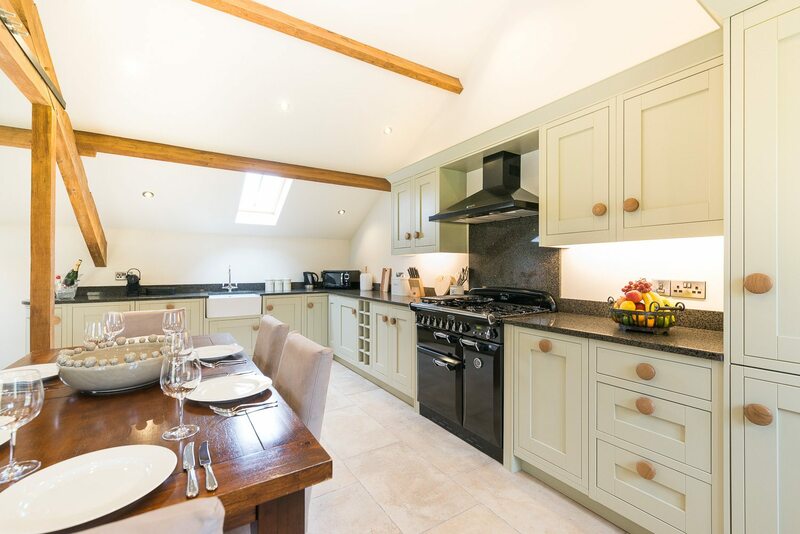 All crockery and cutlery is supplied, together with all cooking equipment. 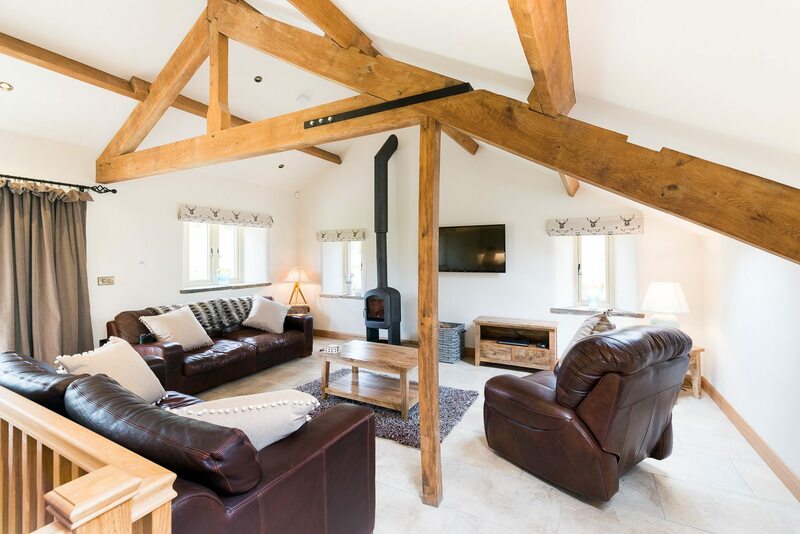 The lounge boasts a log burning stove, two leather sofas and a leather armchair, a Smart TV with WiFi capabilities and a DVD player. 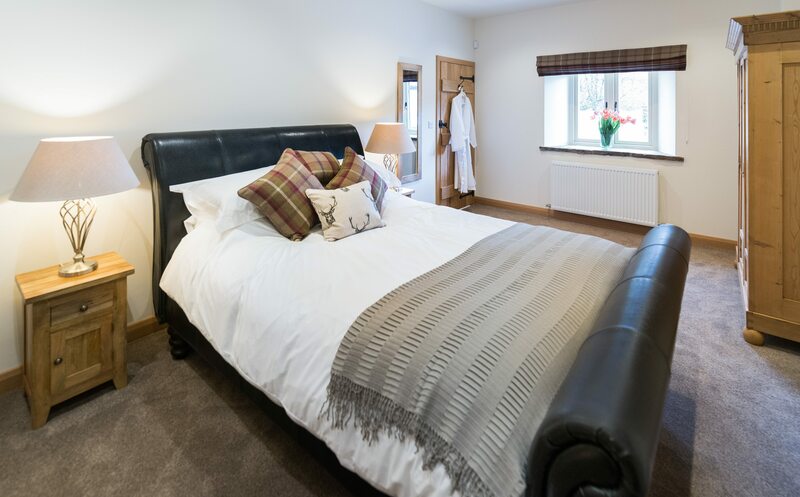 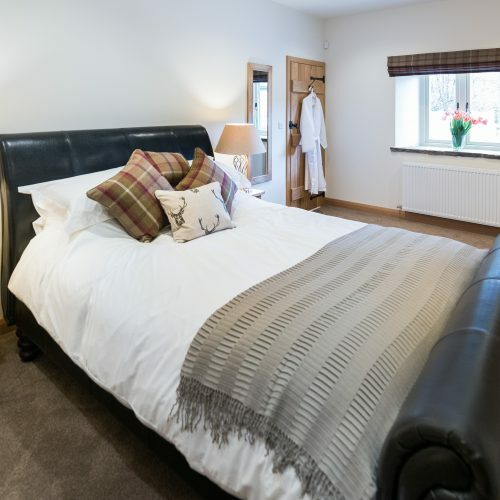 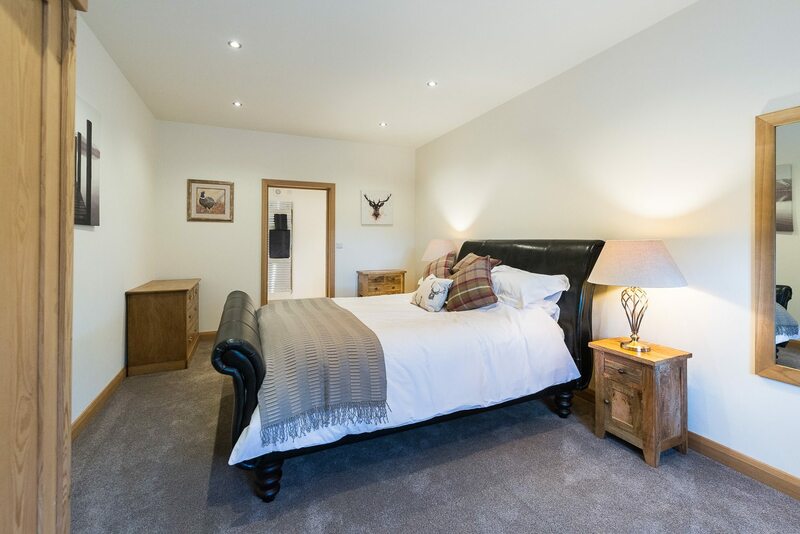 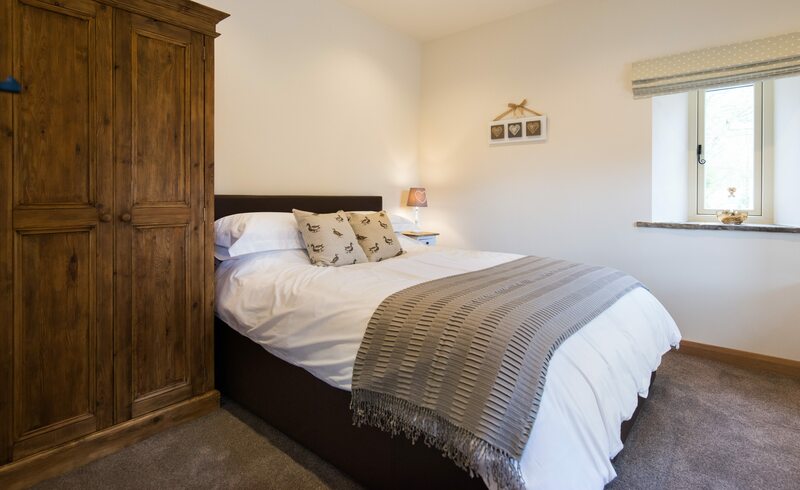 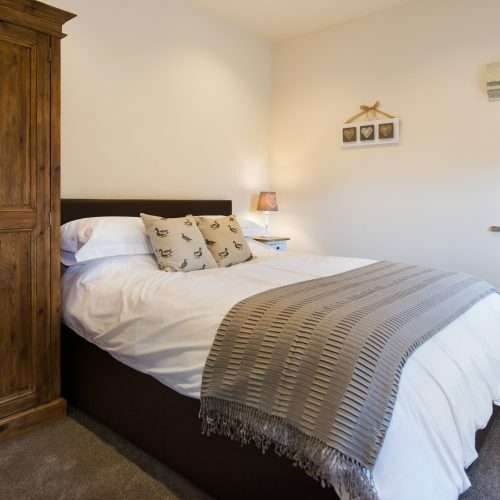 Six can sleep comfortably in an en-suite master bedroom with a leather king sized sleigh-bed, a further large bedroom with king sized bed and a twin bedroom with a third pull-out bed. 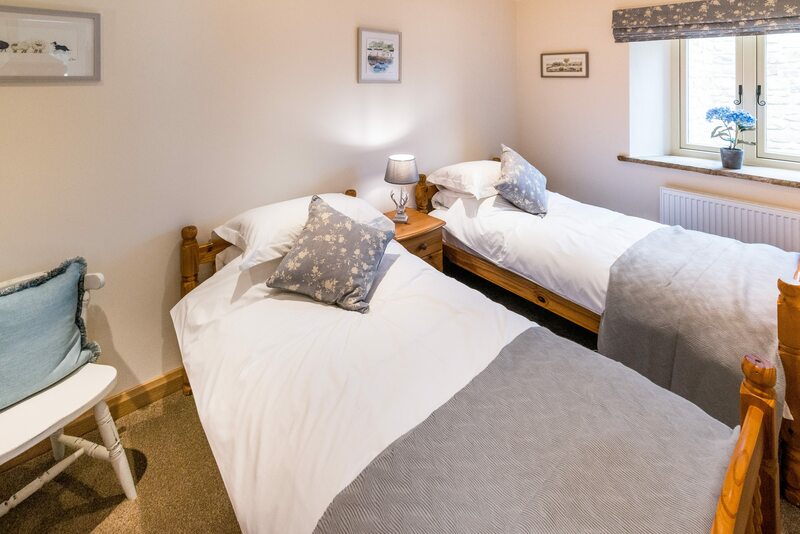 All the bedrooms are equipped with hairdryers. 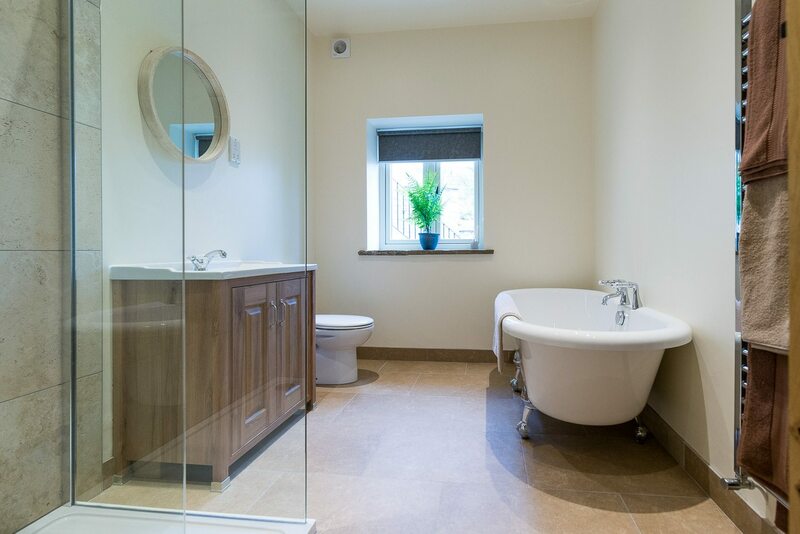 The spacious house bathroom has a walk-in wet room style shower, free-standing bath, sink and toilet. 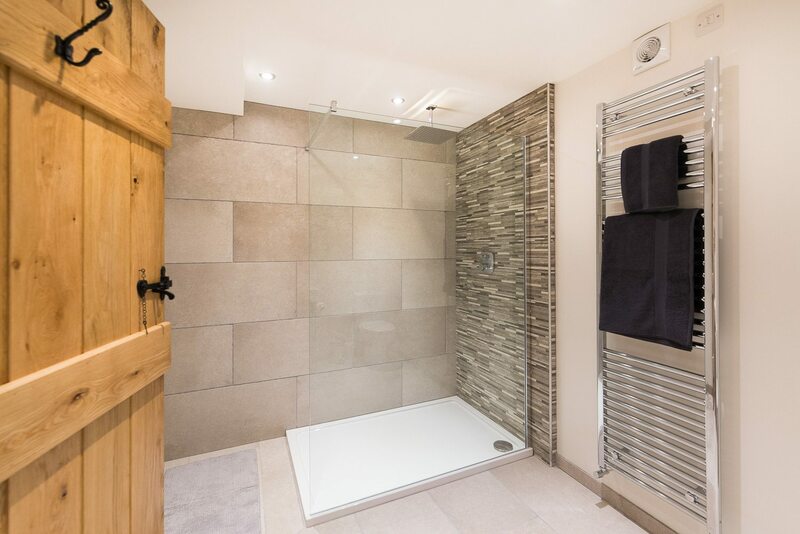 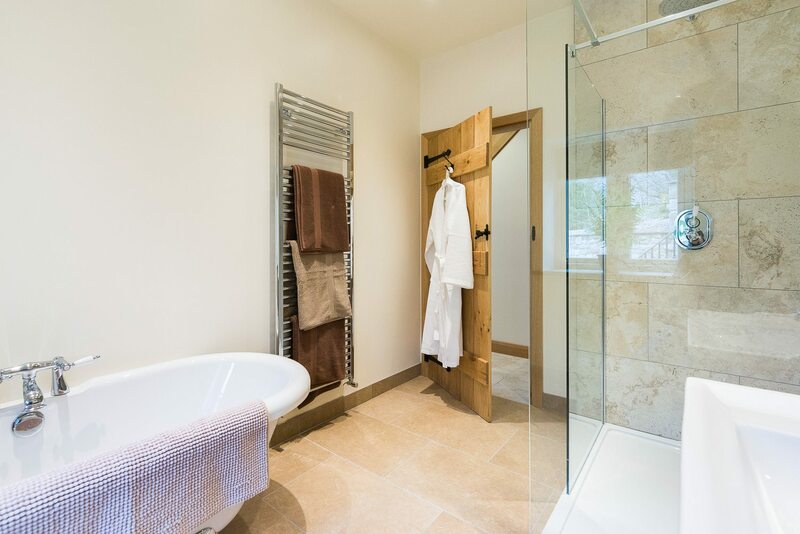 Additionally, there is an en-suite bathroom with a walk-in shower off the master bedroom. 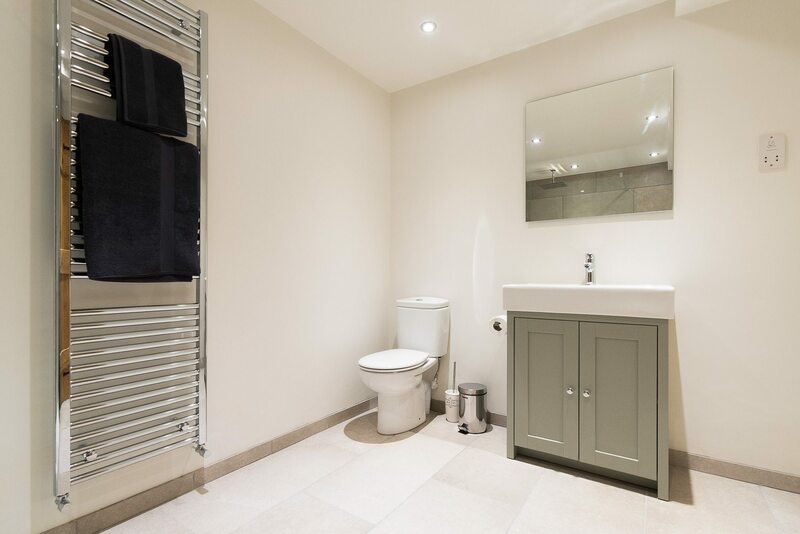 Both bathrooms feature luxurious tiling and fittings throughout. 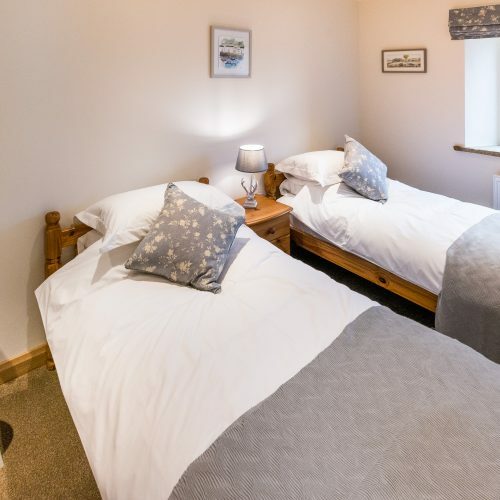 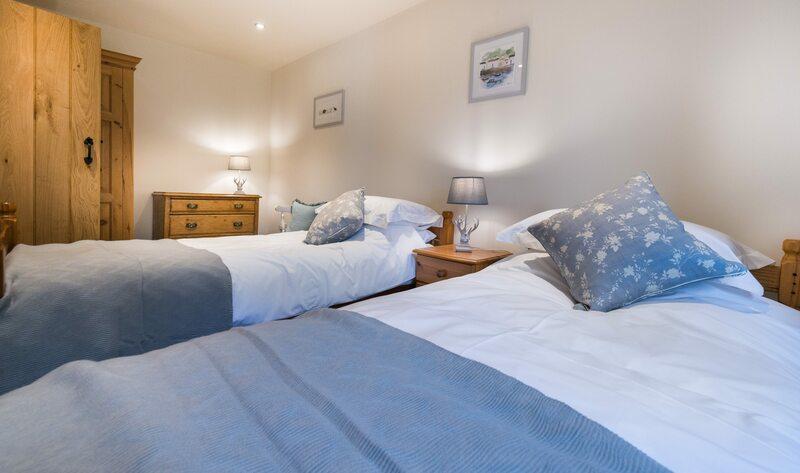 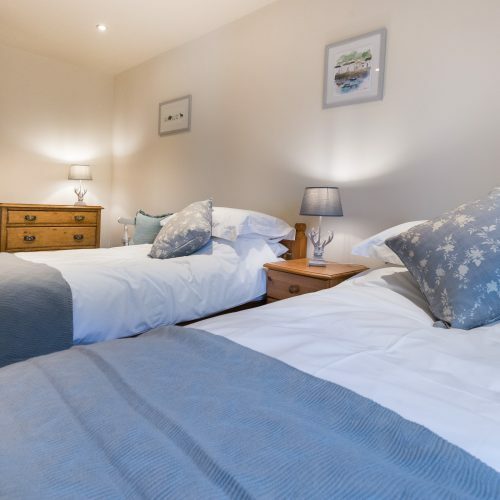 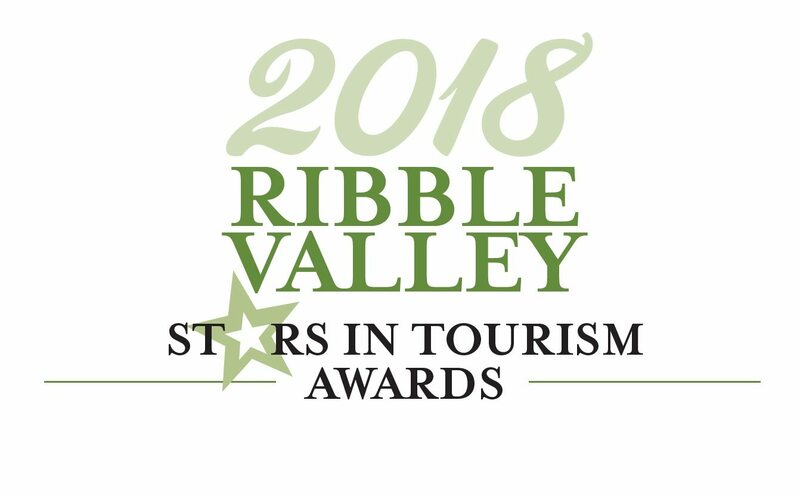 As well as the rooms described above, amenities may be found in the large cupboard off the hallway, which contains an iron, ironing board, clothes maiden, childs highchair, stair-gate and travel cot (a full size cot can be provided). 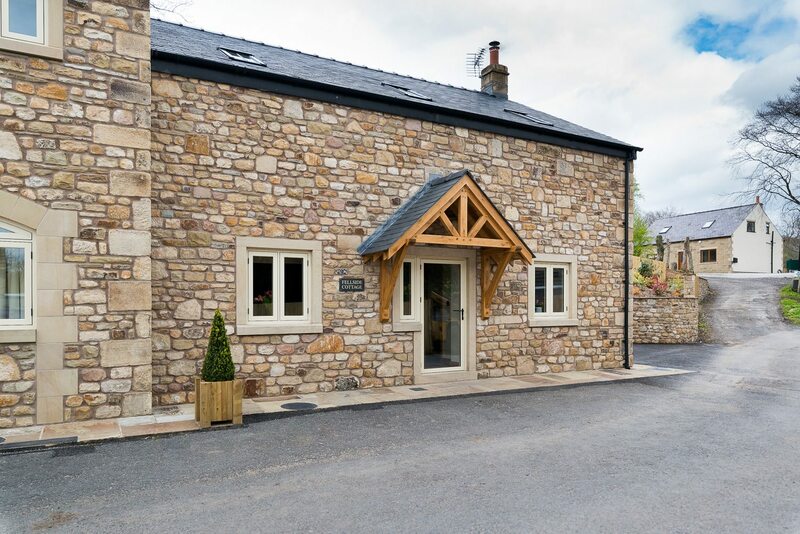 Outside you will find ample parking and a stone storage room to safely and securely store bicycles etc. 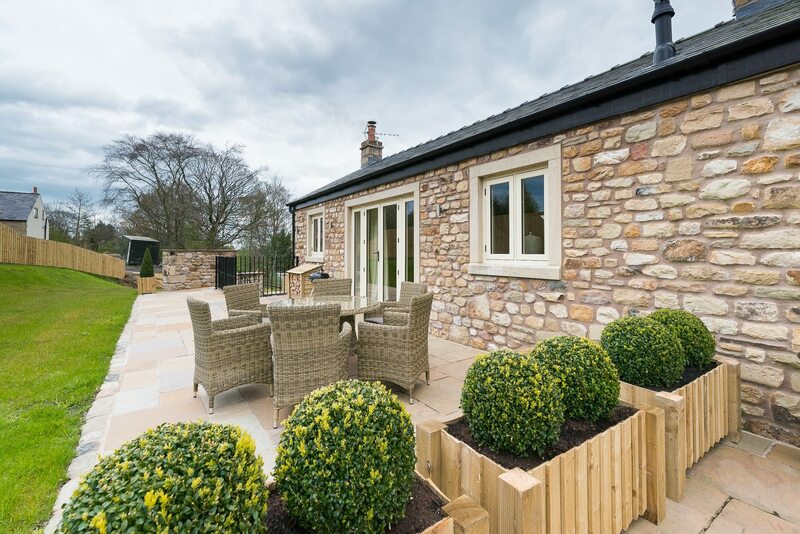 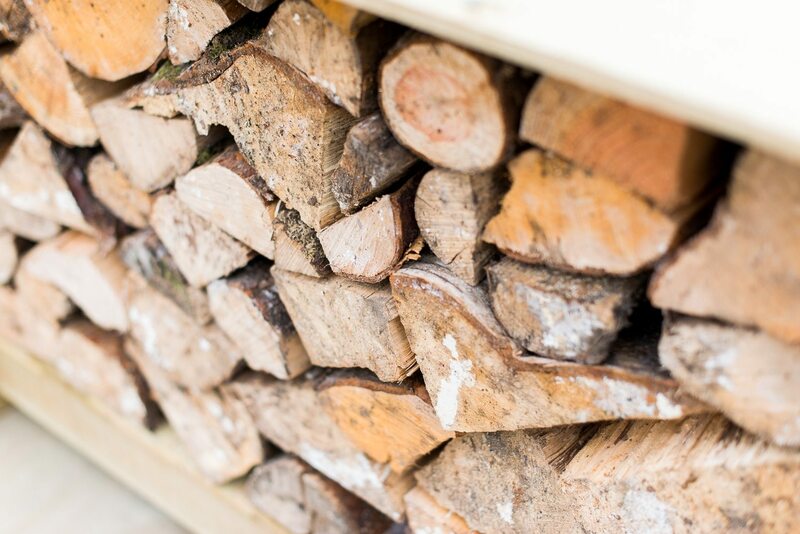 The paved terrace features outdoor furniture, BBQ, private fenced garden and lawn.